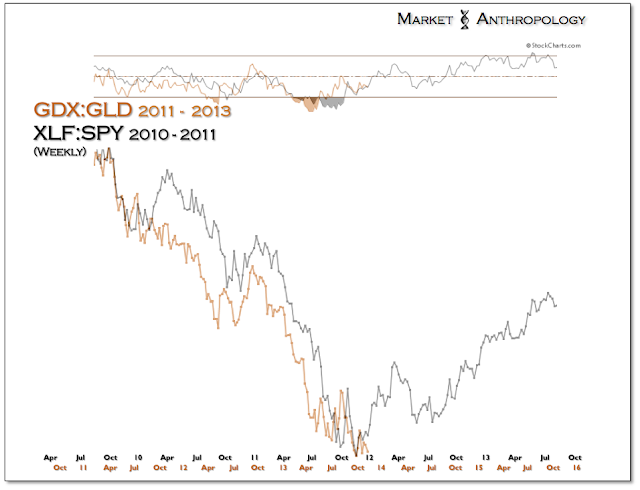 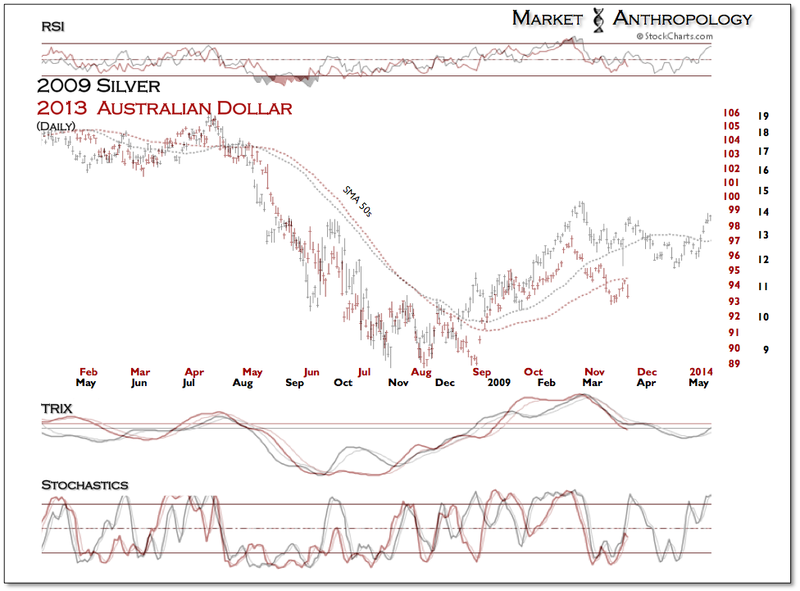 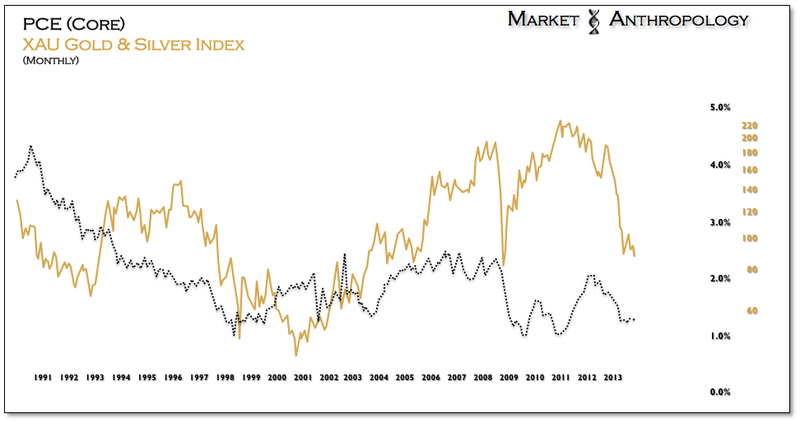 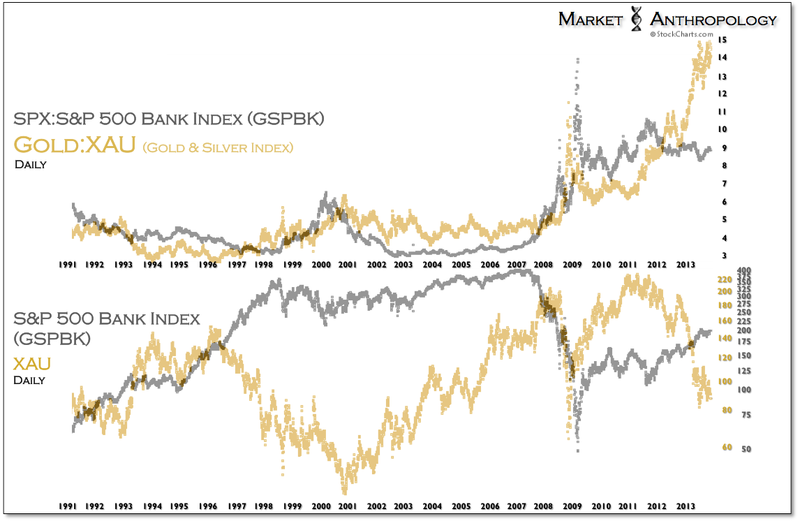 Gold and silver hit the drop zone yesterday of the commodity comparative we had made with the previous downturn in 2008/2009. 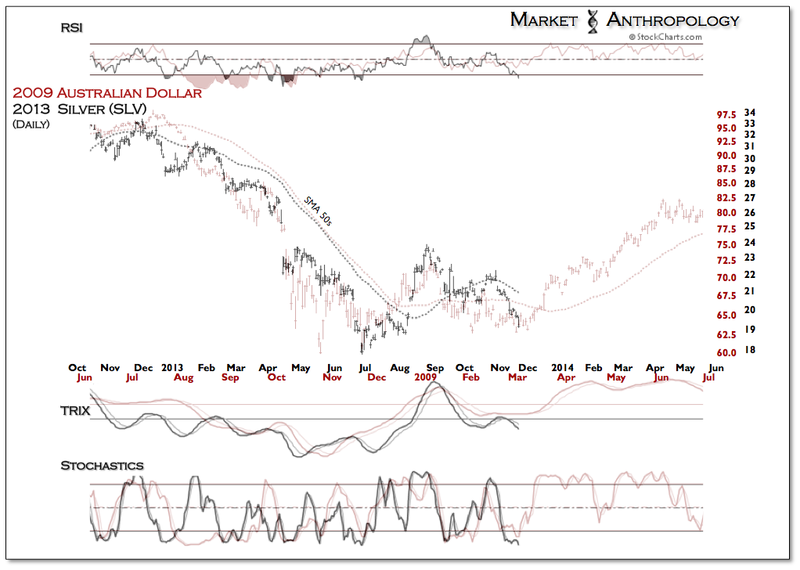 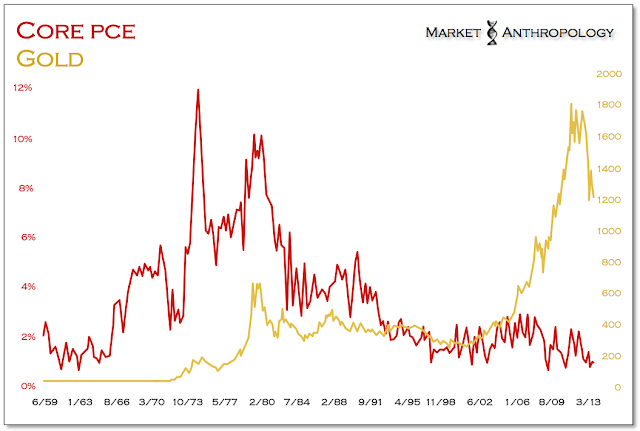 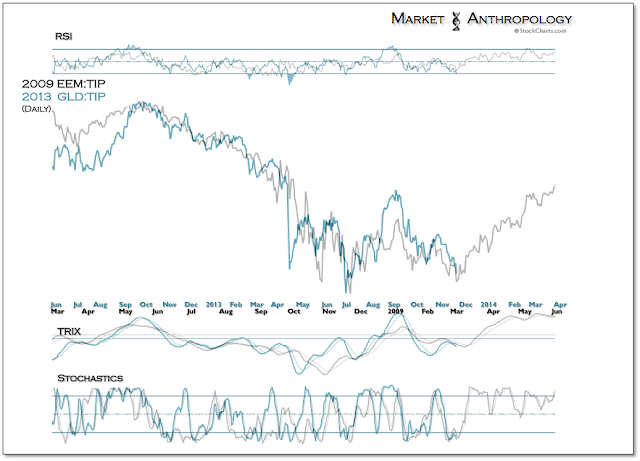 We added a TIP chart to the series, considering the fever pitch surrounding inflation - or lack there of. 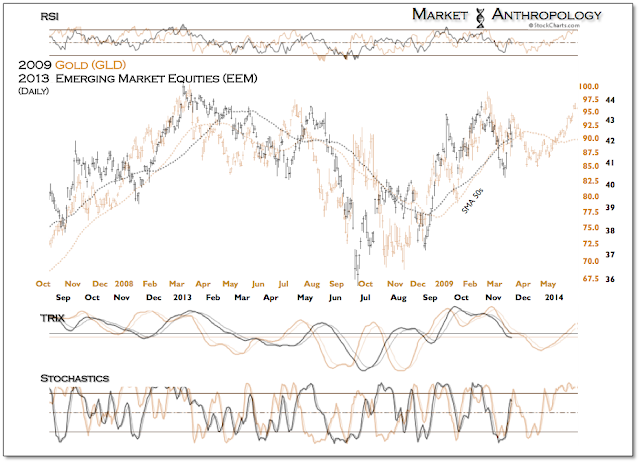 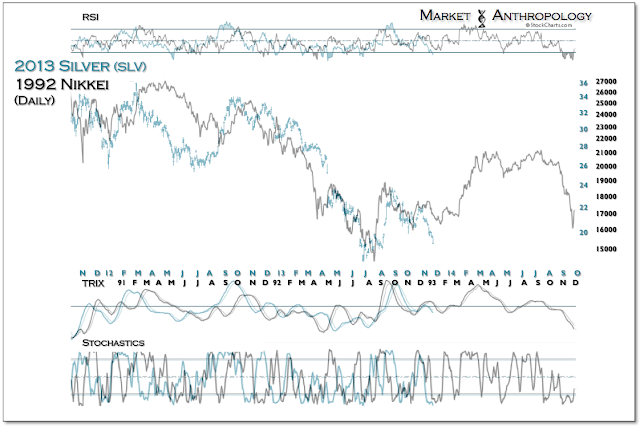 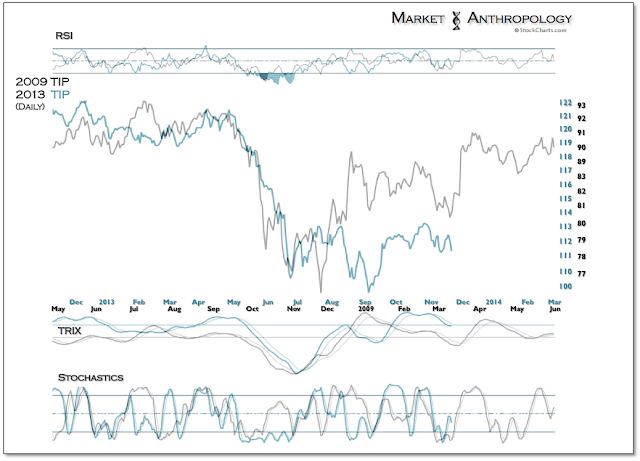 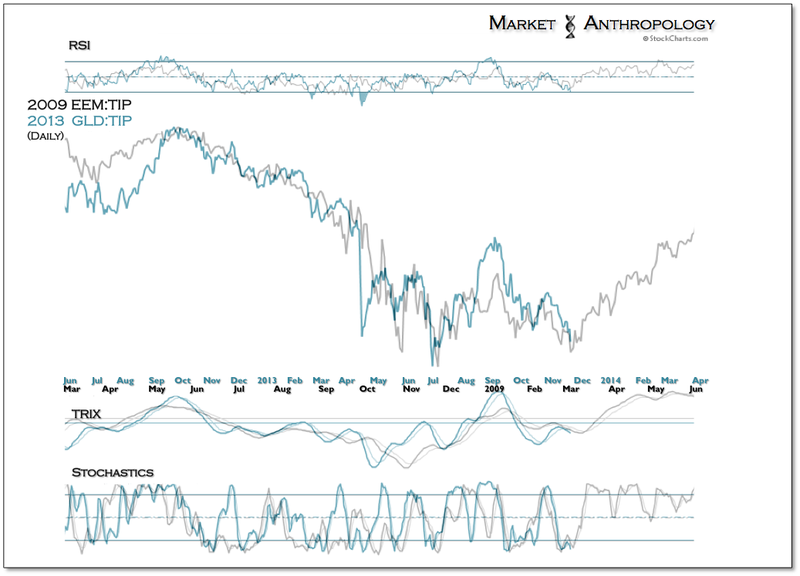 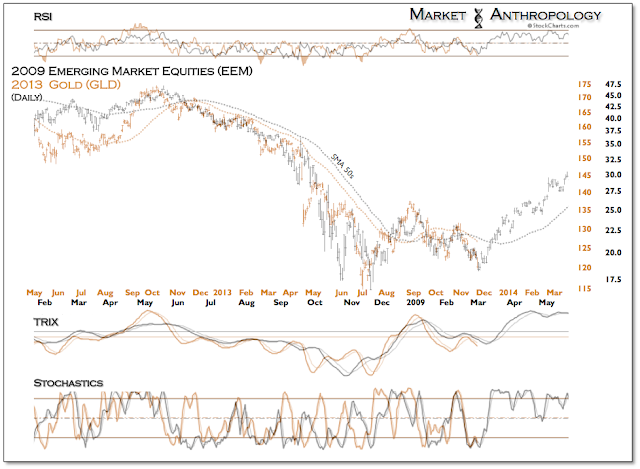 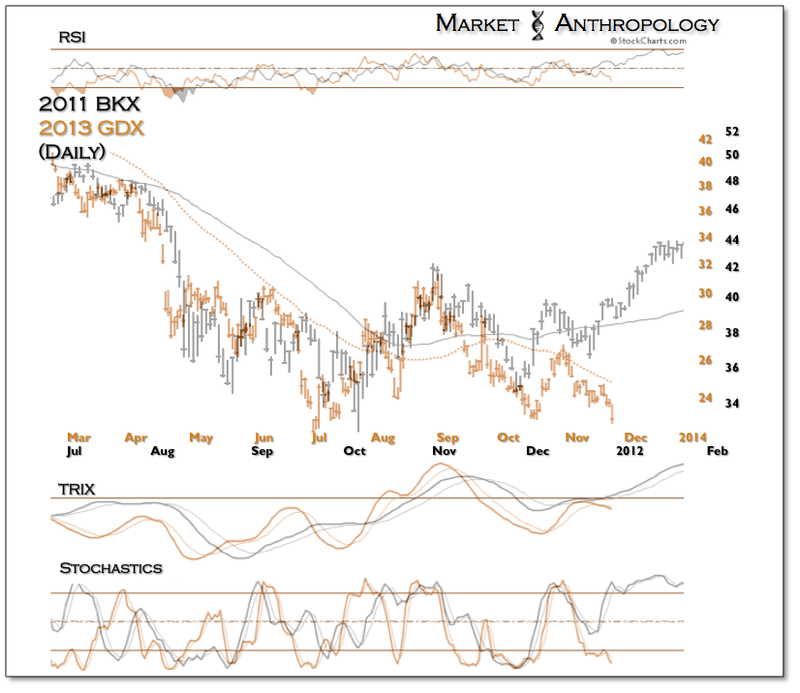 To normalize the two, we also added a ratio chart that depicts the narrative we had described in which the equity markets (EEM) that are predominantly derived from the commodity story have led the currency and commodities sectors themselves this time around. While roughly half as deep as the 2008/2009 deflationary scare, the composite picture for us points towards a rejuvenation of inflation expectations - via commodities - in 2014. 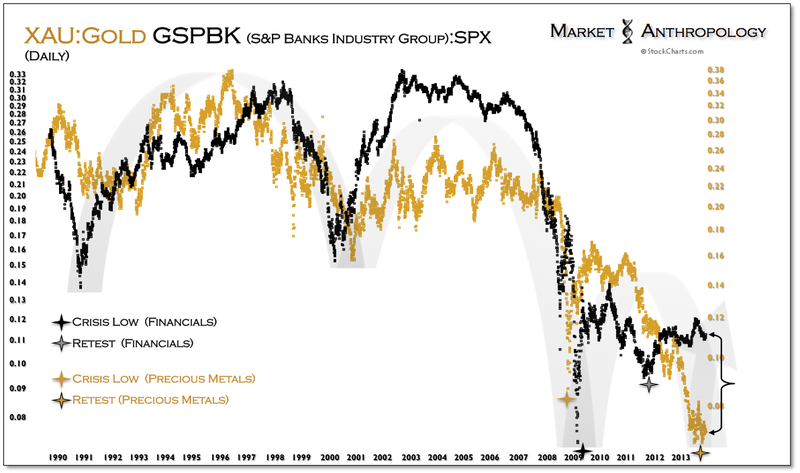 Despite starting to feel like Rob Ford at yet another press conference, we still like idea that the precious metals sector will begin to (full)fill the reflationary shoes we had expected them to run in.